The people have spoken, and their choice is Benco. The Greater Scranton Chamber of Commerce announced the winners Wednesday, November 11, for the 2015 SAGE Awards at its annual Chamber Gala at the Theater at Lackawanna College, in Scranton, Pennsylvania, according to thetimes-tribune.com. Among their ranks: Benco Dental, the nation’s largest privately-owned dental distribution company. To accept the People’s Choice Award, company Vice President, Operations, Lou Mangino took the stage along with associates from the Culture and People team. The Scranton Awards for Growth and Excellence honor outstanding local businesses for their talent, creativity and innovation. The chamber received more than 100 applications. A group of community leaders and professionals teamed up to review applications and select finalists. 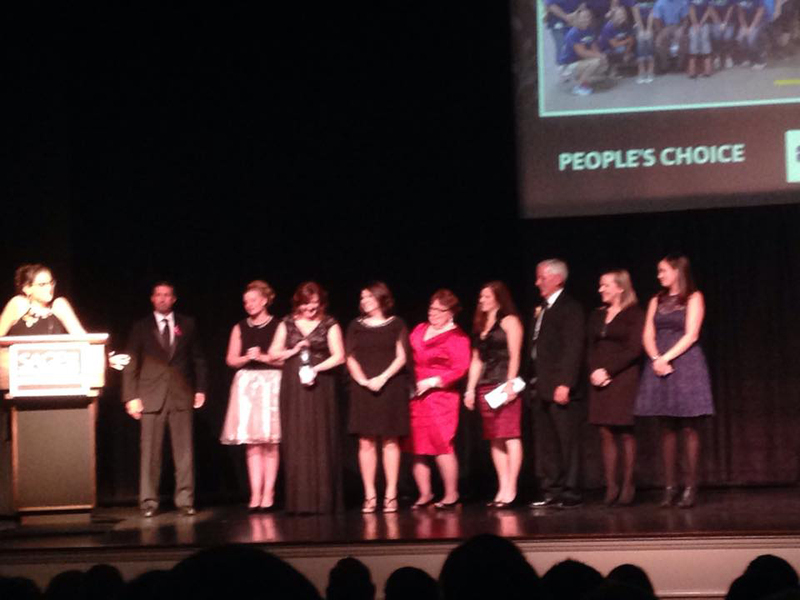 Members of the Benco Dental team onstage at the 2015 SAGE Awards to accept their honor. In addition to offering the market’s broadest choice of equipment and supplies, Benco features a suite of innovative material management tools like Painless®, its industry-leading on-line inventory management system, and BluChips®, dentistry’s original and most rewarding frequent buyer club. Through alliances with selected Success Services, Benco also offers practice coaching, continuing education, equipment financing, and wealth management services. Benco, which has been named one of Pennsylvania’s ‘Best Places to Work’ for 12 of the past 14 years, is proud to boast a highly skilled team of more than 400 professionally trained sales representatives and over 300 factory-trained service technicians. For more information, visit benco.com or call 1.800.GO.BENCO.